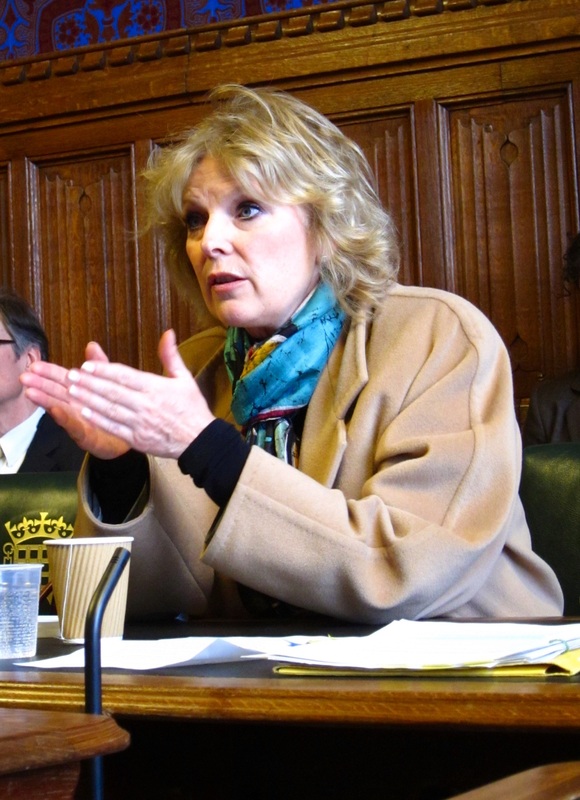 Greater investment in cycling infrastructure would have benefits for public health and could provide savings for the health service, Health Minister Anna Soubry told the Get Britain Cycling inquiry today. Soubry, who told the inquiry she loved cycling as a child and that her husband bought her a mountain bike for Christmas, described herself as ‘wildly enthusiastic’ about cycling and said that cycle training and cycling as a sport should be taught in schools: “I see no reason whatsoever that cycling shouldn’t be part of sport in schools … I distinctly remember doing my cycling proficiency and it’s stayed with me for life.” Soubry warned that the perceived risks of cycling are standing in the way of progress, adding that she didn’t let her own children out on the roads due to safety fears. The Health Minister was the first government minister to speak at the Get Britain Cycling inquiry. When questioned about the lack of a joined up approach on cycling, Soubry said that she has worked with Transport Minister Norman Baker on cycling initiatives but admitted that Whitehall “needs to show leadership.” Other witnesses and panel members at the inquiry agreed and said that the key to getting Britain on bikes is true cross-departmental working. Dr Sarah Wollaston MP said: “We need the education department to work with health and transport as well if we want to form habits for a lifetime.” Lord Berkeley asked if the Department for Transport can incorporate health benefits as a marker used when appraising a transport scheme. The lessons that can be learned from London were also a focus of today’s session. Transport for London’s Ben Plowden said that “strong leadership, partnership working and sustained investment” is key. The London Cycling Campaign’s Tom Bogdanowicz agreed and said that demand for cycling in London is high – 1 in 4 people want to cycle. Transport for London also talked about the benefits of limiting HGV movements to night hours only throughout London 2012 as a way to reduce the risk of conflicts during rush hour. The inquiry provoked a lot of activity on twitter – #getbritaincycling was once again one of the top trending hashtags in the UK. Representatives from the Local Government Association, Transport for Greater Manchester, Leicester City Council and Devon County Council all gave evidence at today’s inquiry. There was a special focus on lessons learned in London – Transport for London, the London Cycling Campaign and the Borough Cycling Officers’ Group all presented at the inquiry, alongside Caroline Pidgeon MBE – a Chair on the London Assembly Transport Committee. Cyclenation, Cambridge Cycling Campaign and the Campaign to Protect Rural England covered the campaigning perspective and public transport integration was covered by the Association of Train Operating Companies. Health Minister Anna Soubry MP also appeared at the inquiry. The next session of the Get Britain Cycling inquiry, exploring Leadership from Government will take place on Monday 4th March from 2pm in The Boothroyd Room, Portcullis House. Witnesses include Norman Baker MP, Stephen Hammond MP, Jon Snow and Andrew Gilligan.